In the Hollywood film “Ray,” Ray Charles, played by Jamie Foxx, goes to a nightclub to see legendary Toledo jazz pianist Art Tatum played by Johnny O’Neal. During filming, O’Neal played three or four songs, although only one “Yesterdays” made it to the silver screen. “That was a real honor for me, and for Toledo audiences, to play the part of Tatum—one of the greatest pianists ever.” A lot of people asked Johnny what Tatum record he was playing along with. “I was playing live! That was me,” he said. Following the success of “Ray”, the Ray Charles Band asked Johnny to take the piano chair for its major venue tour in 2005. This band is just the latest to seek Johnny’s talents. Johnny’s enormous musical gifts were immediately apparent to jazz icon Ray Brown and led to his 1983 debut album “Coming Out”. Stints with Ray Brown, Milt Jackson and Art Blakey’s Jazz Messengers soon followed. 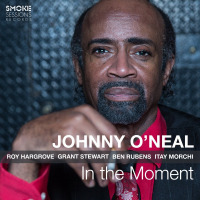 Johnny has been tapped for appearances by Ray Brown, Milt Jackson, Dizzy Gillespie, Joe Pass, Nancy Wilson, Anita O’Day, Lionel Hampton, Kenny Burrell, Sonny Stitt, Benny Golson, Eddie “Lockjaw” Davis, and Clark Terry, among others. Performances on the festival circuits in Europe, Australia, Japan and a recent tour of South Africa have gained Johnny an international following. Astonishingly, Johnny is largely self-taught. His playing evokes the influences imbued in him by his idols Oscar Peterson and Art Tatum, and he has reshaped these elements into his own very swinging and melodic approach. In live performances, he is apt to catch his audience off-guard with his soulfully rendered yet unpretentious vocalizations. Johnny admits to loving to shout the blues but calls himself a piano player first. There have been three notable events in Johnny’s career that continue to inspire him: an appearance at Carnegie Hall early in his career when he was the opening solo pianist for Oscar Peterson, his 1998 induction into the Alabama Jazz Hall of Fame and playing the role of Art Tatum in the award winning feature film “Ray”. “I just want to play and preserve the style of the jazz masters,” emphasizes Johnny. Dedication to that mission statement is evident in his innovative interpretations of the jazz classics, and his own lyrical compositions. All About Jazz musician pages are maintained by musicians, publicists and trusted members like you. Interested? 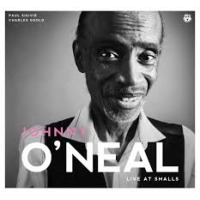 Tell us why you would like to improve the Johnny O'Neal musician page.